February is the month of hearts and flowers, Shrove Tuesday and… snow, apparently. If you’re bored of the same old bad weather, valentines and pancakes for Month No. 2, then make February 2018 one to remember and do something a little bit different. 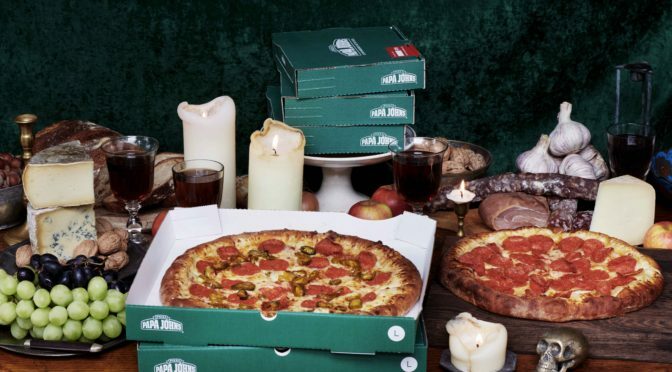 Of course, here at Papa John’s we think there’s no better way of lifting the winter blues than trying something different with the shortest month of the year by switching up your pizza choices. So, here’s what we suggest. Enjoy the nation’s favourites. Mushrooms are officially the UK’s favourite pizza topping – if you’ve never experienced the ‘shroom covered in melted mozzarella then it’s time to find out why so many people love it. Onions, ham pepperoni and pineapple follow on close behind. Here at Papa John’s, we use baby Portobello mushrooms which have a firm texture so are packed full of flavour for a rich taste. Spice up your life. 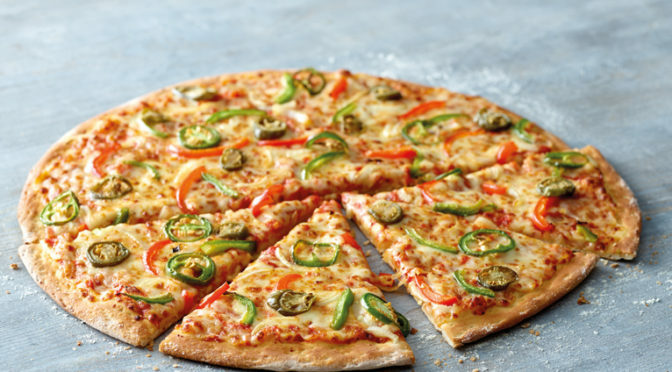 Never tried a spicy topping on your favourite slice? Now’s the time to wrap your chops around something with a bit of kick. BBQ is perhaps the gentlest option for spice newbies but if you’re feeling a bit braver, then go for some spicy beef or the jalapeno and pepperoni of an American Hot. Try something unconventional. This could be heaven or it could be hell, said the Eagles in Hotel California, and that could well be the case if you go totally off piste with your February pizza toppings – but you’ll certainly have fun trying. Brussel sprouts and balsamic vinegar or fig and prosciutto are two very unconventional options. If fruit on pizza is the ultimate in daring for you then even the Premium Hawaiian with fresh pineapple chunks might be an unconventional choice. Go veggie. Vegetarian food has plenty of great benefits and doesn’t have to mean you lose out on taste. So, if 2018 is all about positive choices then make February the month you apply it to your pizza menu. 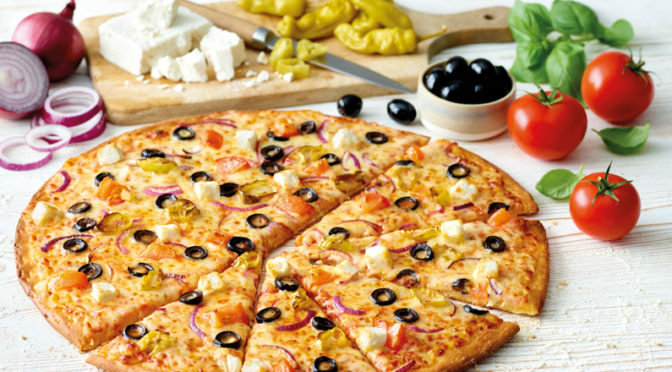 If you’re concerned your palate will be depressed about the loss of the meat then replace it with something mouthwatering like the refreshing feta and black olives combo of The Greek. Are you the kind of person who thinks pizza crusts are redundant? If that’s the case – and they always end up in the bin at your house – then it’s time for a rethink. This February set yourself the challenge of trying a new type of pizza crust – or maybe even all of them. The authentic thin crust is the perfect choice for pizza lovers looking for a lighter option because it’s crispy and flavourful, for example. Have the hankering for flavours that take you to the edge? 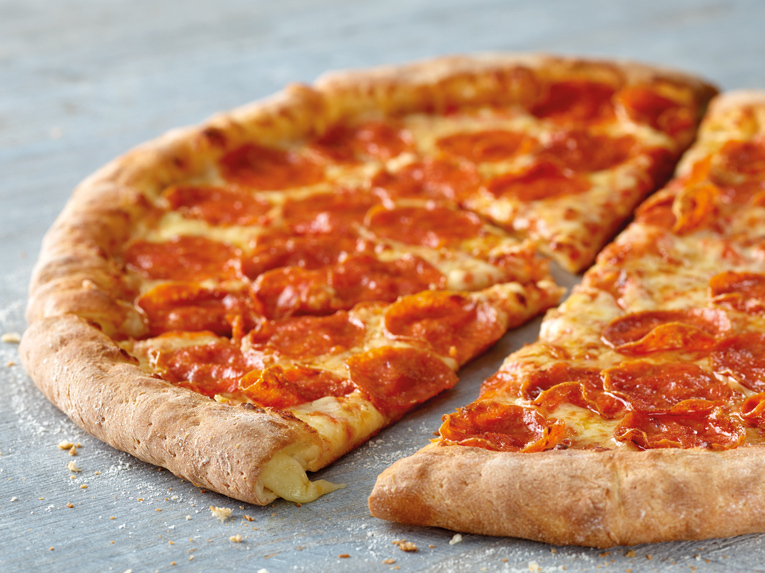 Then give an epic deep crust pizza a go. For pure indulgence why not try the stuffed crust glazed in garlic and herb sauce and hand rolled around creamy mozzarella. 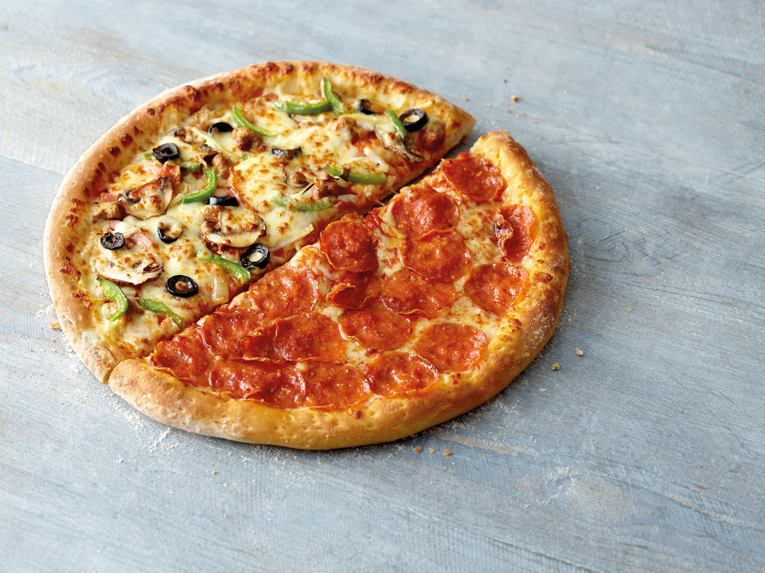 You don’t have to be a crust bore when it comes to pizza – and this it the month to prove it.